I want your maximum scrutiny on this blade here. It is alleged Kyu Gunto, but the length of the blade and the apparent looseness of the nakago in the grip throw me off. 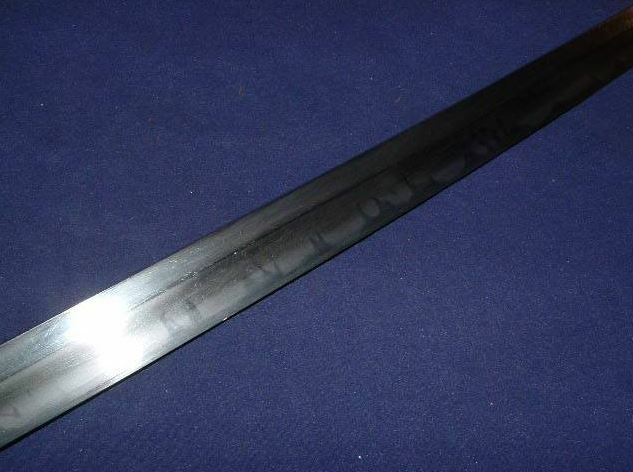 It is firmly of wakizashi length at a mere 21.5 inches for the nagasa and with a sori of .25 inches. It is signed "Nobuyoshi" but that is the word of the seller. 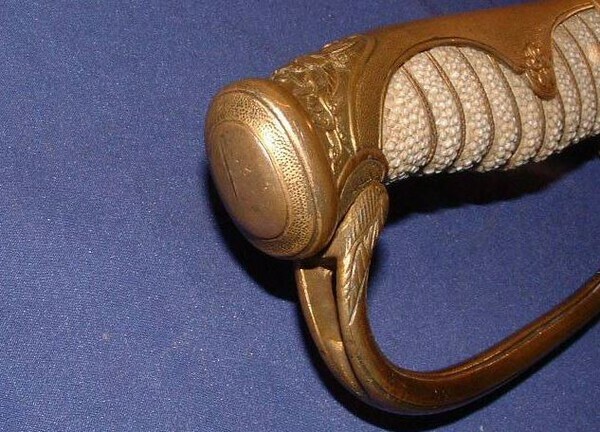 I believe the grip and blade itself are Japanese but with its slight looseness (which may be due to a poorly sized mekugi), there might be a possibility its a put together. It does have both rear and forward seppa. The scabbard does fit it well, but it is about four inches longer than the blade itself (though internally, it appears to fit tightly). 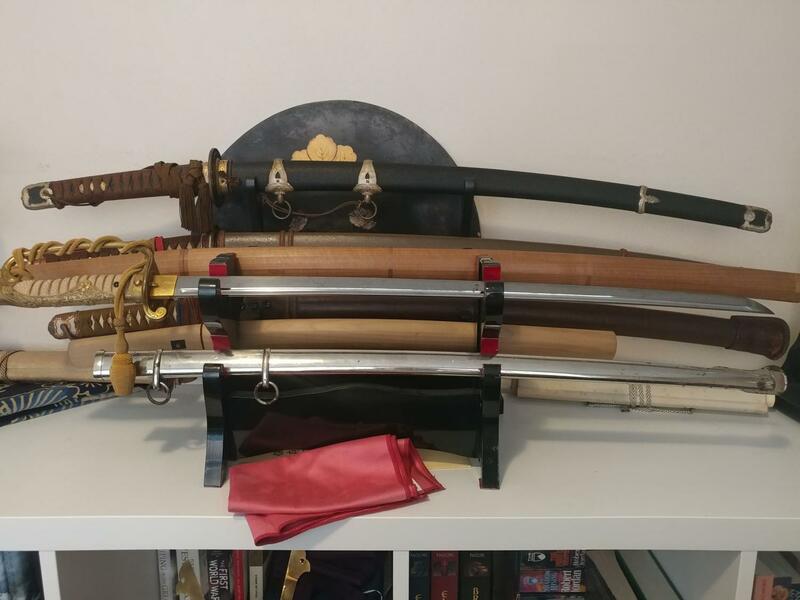 Were Kyu Gunto of non-katana sizes (even at 21.5 inches)? Do you think this is a put together? What is the smith's name? Whats the possible age range for this blade? 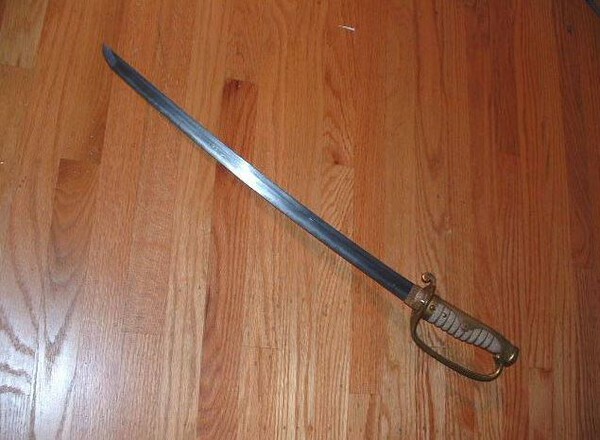 The term KYU Gunto doesn't present to a sword of a specific length. But to type of military mounts it is inn. Lengths of you gunto can be from tachi to ko wakizashi. Signed Nobuyoshi. Koto. Probably Mid to late Muromachi. 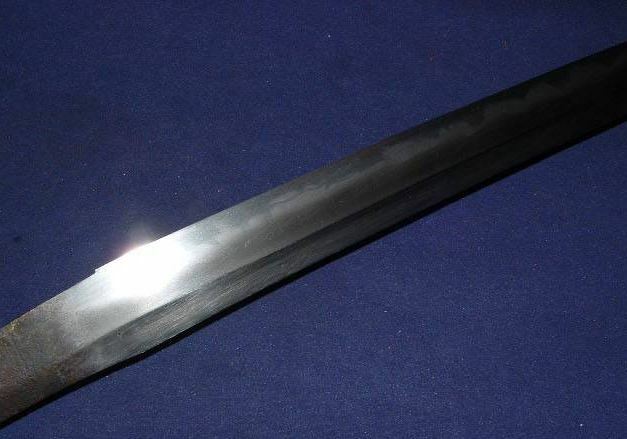 > The scabbard does fit it well, but it is about four inches longer than the blade itself (though internally, it appears to fit tightly). Yes it is a later set up by any means as these mounts were not available at the time the sword was made ... I have no reason to believe that these mounts had not been made for this blade in the 1st case. It is totally fine. The mounst ar ein good condition. Wheter the signatur eis SHoshin I have no idea. Would need to look up which Bobuyoshi this one wants to be. If it wants to be an average Joe it is likely Shoshin. If it wants to be a big old Koto guy then you are mst likely looking at a fake. The Hamon and blade do not suggest anything pre Muromachi eventhough the tang looks worn. The blade is good for what it is. Taking out the sigature question it is a solid piece which was probably priced accordingly. I suppose it came of komonjo? If Komonjo gives a name translation you can assume that his translation is accurate. 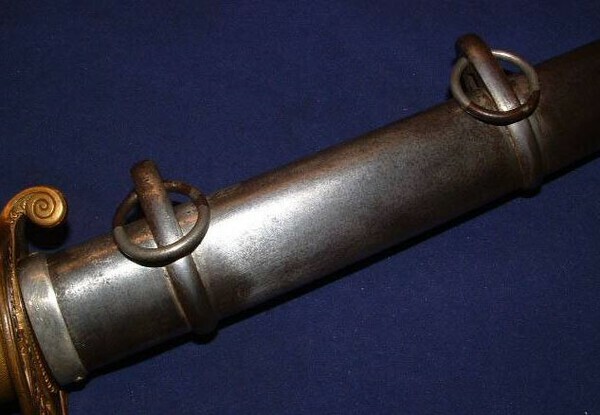 A blade of this size makes sense for this kind of mount as it is supposed to be swung with one hand. Both the sword and mounts are original in their own right. Whether or not they both belong to each other is an entirely different matter, the fact they come from Komonjo makes them somewhat suspect already. It looks like a good example though & if original a great addition to any collection. Yup Luis, you got the nail on the head. Komonjo did sell this to me. I know he does sell some spurious things, but this was something I felt relatively safe on. I still wanted to see what you guys thought of it and get some affirmations. The only issue I can spot with this blade is how relatively loose it sits in the mountings. I am guessing that the wood has shrunk with age or the mekugi is simply inadequate at tightening up the whole assembly. As for Mike, I did email him about it and he was fine with taking a return. But I think I will keep it. I feel more confident on it. I did a lot more homework on it and after comparing it with other examples (a number of which were the same or sometimes shorter), I feel fine in keeping it. Mike also did tell me upfront that he consigns things and only inspects them to make sure the translations given are correct (as in literal) but that he does not inspect for gimei/fakes. So as the old phrase goes "caveat emptor." In your very case I do not think that someone took a Kyu Gunto Koshirae and a seperate blade. Chances of the peg hole and Saya matching another blade would be very low. Usually you can spot an assembled set up on how well the Habaki lines up with the Koiguchi. 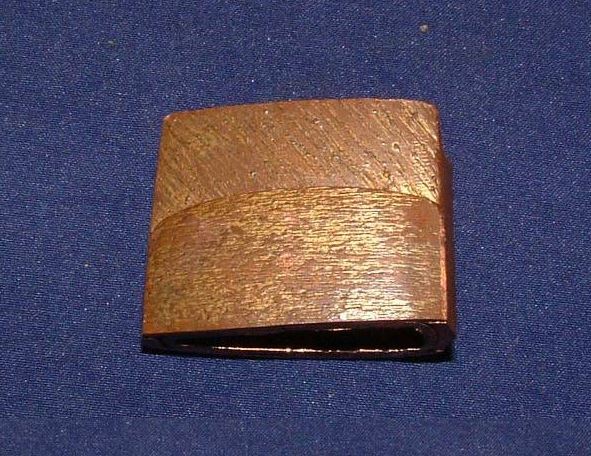 Well Chris Kyu Gunto were very well made and finished from that era (Meiji), if it does not fit correctly I would be concerned, however if the movement is small then that is not unusual due to wood shrinkage and time. My Kyu Gunto fits up like a bank vault to this day with one Seppa. In Afrikaans we have a word for that sentence. Please don't bullsh!t us with the word honest. There is already waaaay too much proof on this forum that that is not true. He may consign stuff and not care if it is correct, and he may not change anything himself. And he may stand behind what he sells. But he knows exactly what he is selling, the source, and what is not as it is presented. I don't like the general idea that buyers are responsible because they should know by now that what he sells is gimei or false or made elsewhere. That is not a valid argument. No more debate on this. 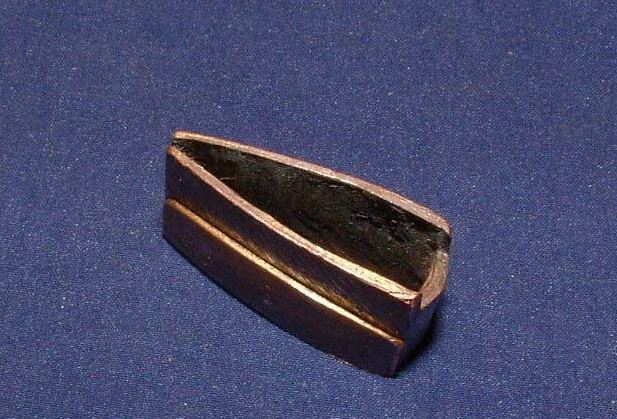 The gap between the forward seppa and the habaki is about one seppa's worth of thickness (a few millimeters) which could be due to the ill-fitting meguki or wood shrinkage? 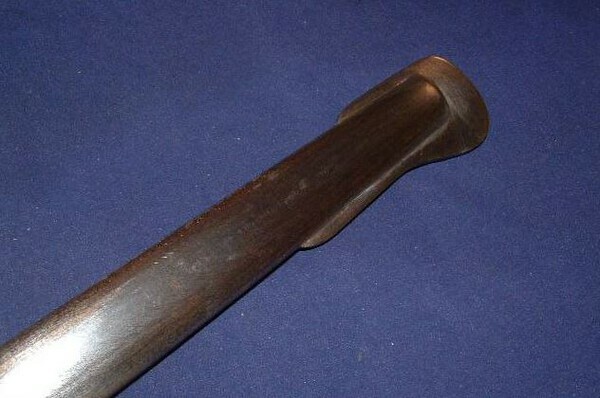 The mekugi doesn't even reach the other side of the hole in the grip and sits slightly off. So that may be why. It appears to be a fairly recent replacement mekugi. Not entirely sure. Appearance wise, everything is correct. Its just that gap that seems off. 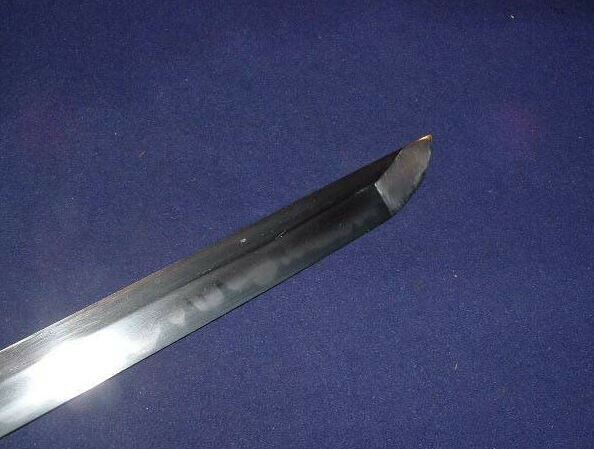 replacement meguki in military swords is very very common, they shrink, fallout or just fall apart. thats a easy fix. the seppa in kyu gunto will normally alway appear in sets, rather then in odd numbers. but with posting a good photo its hard for us to say wood shrinkage, or miss placed seppa or worse. I'd have to also agree with Brian's statement on this one. I spoke with Mike. What he told me is that he consigns items from several sellers in Japan. He does not verify authenticity of anything, only that the translations given to him are literally correct. He does not check for gimei, shoshin, etc. So like most of eBay, this is a huge case of "caveat emptor." Mike is willing to do returns/refunds which is one redeeming thing about him as a seller. 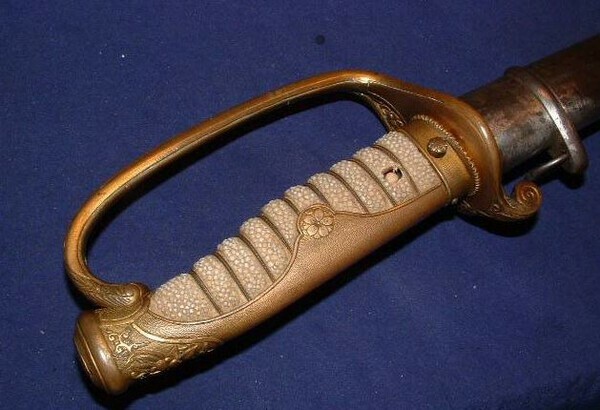 However, I've been able to spot many blatant fakes: looking at that supposed 1929 dated katana made from the gun barrel of the Yamato.. or the obvious modern productions of "Gendaitos". However, I do wish he'd come here and check stuff with the NMB for authenticity or at least 'likely to be so.' This would probably alleviate many concerns if he'd simply say in each listing "probable gimei" or "probably replica/fake." Chris, that’s a good price. I’d love to have one of these, but they’re hard to find under $1,000. Eh.. just be careful. I got lucky this time I think. But he's got some shady stuff he consigns. I'd hate for someone to get burned just because I got lucky and they feel emboldened. A man selling a donkey as a horse is now considered honest? @ John: Do you have a link to th Donkey auction? @ Chris: Maybe you feel lucky. As far as I am concerned I can only say that I always got delivered by Komonjo what I bought. One can regard Nihonto as a Gamble and then he has to be prepared to loose and to win. Or you can regard Nihonto a study journey so you ought to lear along its way. To continue this discussion, we are hijacking Chis's thread about his great kyugunto. Simply type Komonjo (or Showa22 or Samuraimonkey42) in the search window at the top and you will get several examples of very questionable, to outright fakery from these sellers. Yes, each of them have been known to sell the real thing too. That's what makes it more difficult for the buyer. But this discussion is going off topic and could be held on it's own thread. I am sure Brian would not be happy about where this thread is going. 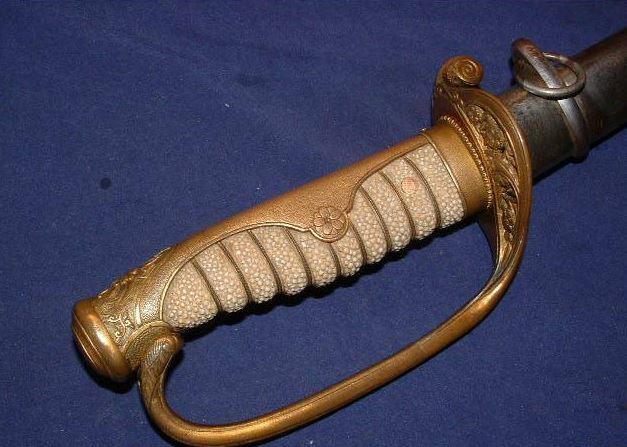 Let's consider this thread finished unless any more IJA collectors have an opinion to share on this blade. I have more or less found a consensus that this particular one is likely as it appears. @ Bruce: I agree with you that this thread is about a blade in great Kyu Gunto mounts that was picked up at less than the polish alone would cost. So for waht it is worth, this has been a good in terms of bang for the buck purchase. I am yet to see where Komonjo is misrepresenting items or making fraudulent deals. Until then I just think it is not fair to call him a dishonest seller and I doubt he would have been able to maintain such a good feedbackscore and to stay on the scene if he was. Of course there is junk among his sales those listings are likewise entitked s junk blades or koshirae. I think this more than blantly honest. If Komonjo puts on a blade signed Masamune without papers what should one expect? What other option is there than outting it on eBay. Melting it into a thamagen bar because it is Gimei? Not to hijack my own thread, but to speak to how: its very simple. eBay policies ferociously protect sellers and their reputation scores. Sellers can easily petition eBay to have any neutral and negative feedback stricken from the record including scenarios where: the buyer returned the item, the sale was cancelled, or the seller did not outright contradict their listing information. As anyone who has ever bought on eBay can tell you, its very easy to get burned. Last month I got burned by the infamous UPS false tracking scam and both eBay and PayPal did nothing simply because according to what UPS said, it was delivered to the address stated to them (but UPS refused to tell me what address that was, even though I was the recipient). Naturally I gave negative feedback on this, but the seller denied, and since I could do nothing to prove it other than hold out my empty hands, eBay took off the negative feedback. The only consolation in that case was that it was for a small claims about of about $50 (bar of copper). eBay is outright crap at protecting buyers, they only care about seller protections since that is where they get their buck. As always "caveat emptor." Now PLEASE, let's consider this thread over unless IJA collectors have an opinion on this blade. 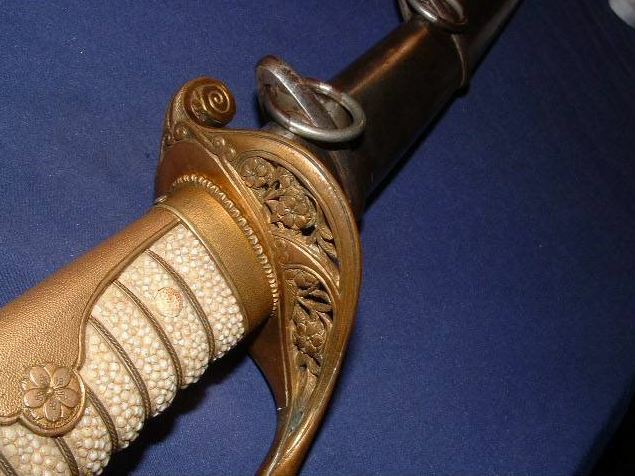 The papered swords represent 1-2% of the listings. I'm not sure how much Komonjo is paying you but you're not convincing any of us he's a saint in wolves clothing! There are 23 Swords total in the link which you pointed me to. 23 of which 3 do have recent papers. This equals 13% ... so you may want to look into your calculation again . You said it is 1 - 2%. Where did I say he is a saint? Also what sword did you buy from him that you can comment on? If it is that you never bought anything from him then what expirience are you refering to? 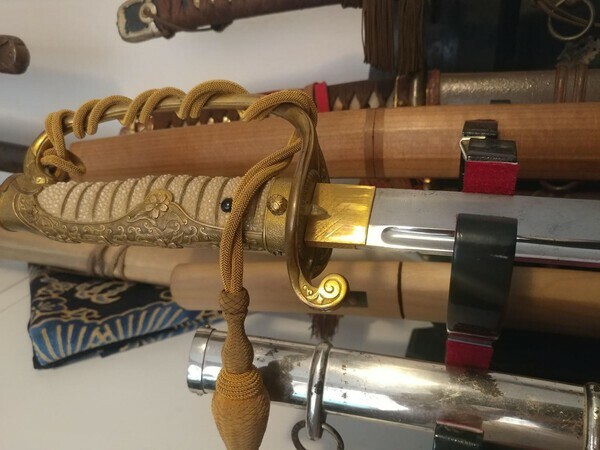 As of know I can tell two people in this topic who have actually bought swords from this seller. One being me and the other one being Chris. Also the others do not seem to have any skin in this game. Out of the 23 blades you used as an argument / example please kindly be a bit more precise as to which one is misrepresented by komonjo and what way? Maybe I am just missing something in these blades and their description. So please kindly enlighten me, I am always eager to learn. Please go ahead and point out which one of the swords is misrepresented or fraudulent. I am listening ,eager to learn from you. Furthermore John please provide proof that komonjo is paying me for my posts - or if you can not then shout me an appology. 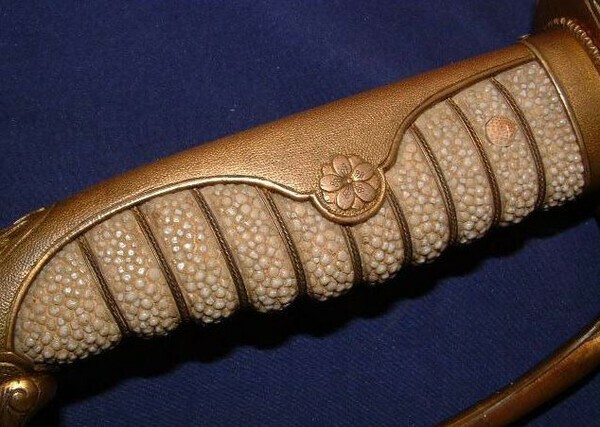 Luis please search "Komonjo" on this forum, you will see many topics and threads about 100% fakes and frauds listed in the past, I must say that most of the swords you listed seem ok and are papered, however majority of the time I look at his listings (regularly) I see many CHINESE MADE FAKES listed as Nihonto/Gendai or clear Gimei of Masamune, Muramasa, Norishige etc etc with fake Kinpun Mei, fake Mei and fake Sayagaki. As for an apology, that is not forthcoming, I don't understand how a longterm member & collector here can clearly sanction this seller of fakes and Gimei, let alone defend him when there is so much previous evidence of his misdeeds. Okay John ... for the record: You keep on accusing me of being a bribed liar without any proof. Thank you. Furthermore You give me 23 swords meant to prove that Komonjo is a bad seller - some of these swords have TBH papers. Uppong repeated asking you to point out the problems you fail to provide your comments on a single piece of them but keep up your accusations. So selling a Gimei sword is a misdeed? Interesting. I am to be guilty then as most other collectors are. What is your suggestion? 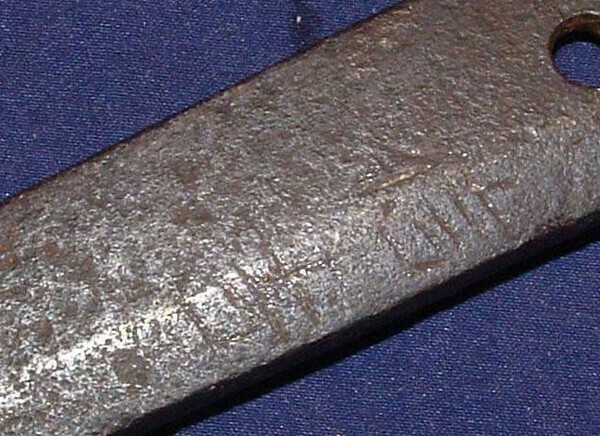 Melt the sword into an iron bar for being Gimei? 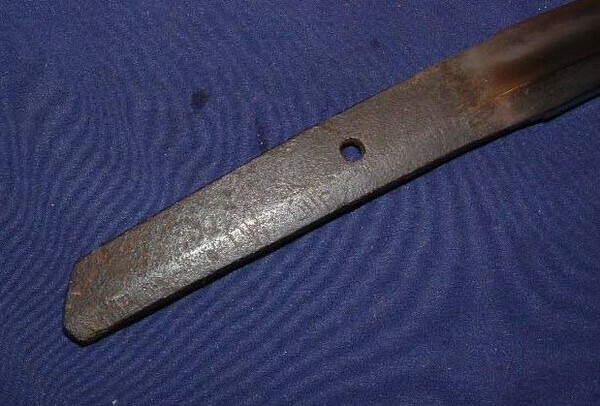 Remove a Gimei at approx USD 500 on a blade that gets sold at a fraction of this? 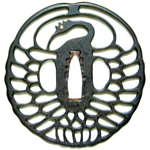 You mention clear Gimeis of Masamune to be sold by Komonjo. 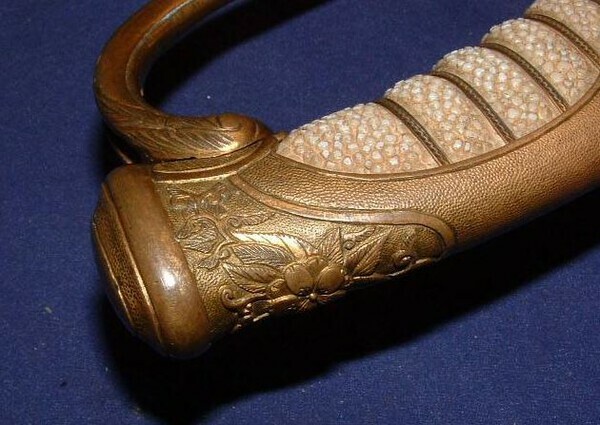 Can't a blade be any clearer and obvious be Gimei than a Masamune? The question is wheter Komonjo claimed this Masamune, Norishige or whatever to be Shoshin? If yes provide the link. I am dying to see it. If he did that he is a bad guy. Otherwise while you point the finger at him, don't forget that four fingers of your hand will point at yourself. Why I defend him being a long time collector? You just gave the answer to your question yourself. Because I am a longterm collector. I have gotten some of the best deals from him buying good swords at very low cost. Sometimes below cost of restoration. So if I was bad guy I would put him down like others do in order to drive potential buyers / bidders away. But I try to remain balanced without bias. Komonjo offers some of the worst junk to be found - and describe it himself as JUNK. He will sometimes sell very fine blade and not exagerrate at all but just limit himself to describing the condition.